You must have seen people doing several tricks when smoking. Some smoke through nose, while others create smoke rings with utmost ease. But, do you know how to make smoke come out of your mouth without using a cigar, cigarette, or a hookah? This is quite a trick, and you can master it to astonish anyone. Keep reading to learn more about how to accomplish the task. While it does not seem possible to make smoke come out of your mouth without using a cigarette, there are tricks to do just that. 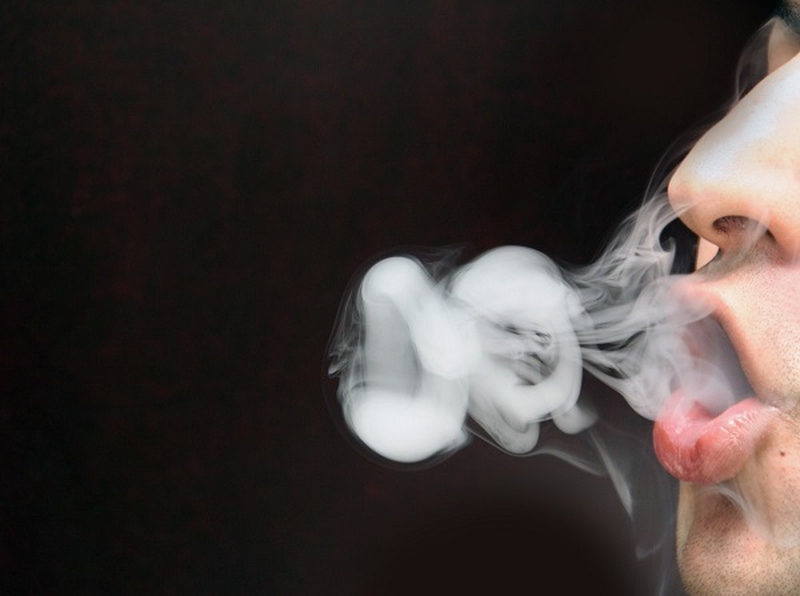 Here are some simple yet highly impressive tips that will help you understand how to make smoke come out of your mouth without smoking. Start by putting your fist close to your mouth. Make sure to keep your thumb inside your mouth with your fist at the side of it. Simply puff your cheeks out hard without hurting yourself. This will help squeeze the air into the spit inside your mouth. Slowly take out fist away and leave your mouth opened without breathing out. If you breathe, the fog will move down to your lungs and nothing will happen. Take a spoon full of water and add it to a plastic bottle. Put the cap on and leave it overnight. Remove the cap the next day and wrap your lips around the opening of the bottle. Blow forcefully and squeeze the bottle a little. Remove your mouth from the bottle and squeeze it hard again. You will see smoke come out of the bottle. First, look for a cold air source. Go to your freezer and use the cold air coming out of it. You can use the cold air outside if it is winter. Using winter air is easy, but it may not be a very clever way to do things. Use a freezer will make it look more like a trick. Go to your freezer, open its door, and inhale deeply. You may have to almost bury your face in the freezer for a while to inhale cold air. Now, breathe out slowly through your mouth. It is important that you do it in a cold environment, so you have to keep your face close to the freezer. You will notice visible smoke that shows up due to your warm breath in a cold setting. You can make it even more interesting by blowing on a piece of glass. Simply exhale onto the glass after inhaling cold air from the freezer. It is important to ensure that the glass is already cold as well. All this happens because your breath produces water vapor molecules that transfer energy to the colder air and make molecules to bind together to form the fog or smoke in this case. Simply take a small piece of white paper. Roll it up properly and then tape it closed. Take a piece of cotton and place it at one end of rolled-up paper. Add some white powder to the other end of your toy cigarette. Blow from either end and you will notice smoke coming out of it. While the idea of creating a toy cigarette really works, it may not last very long. You are only going to get a few puffs of smoke from each cigarette. That usually depends on how much powder you have poured into it.